Blind man with staff. In Japan, the blind were traditionally employed in professions like musical performance, song and recital, massage, acupuncture, fortune-telling, and money-lending. Many spirit mediums (巫子, Itako) were also blind. 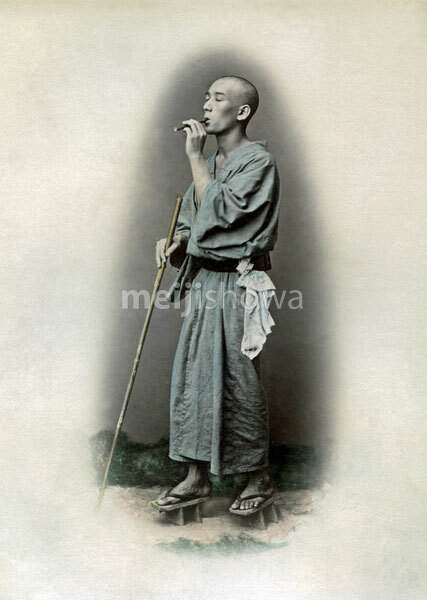 During the Edo Period (1603-1867) there were established private schools teaching these professions to the blind. As a result, blind people took actively part in daily life in Japan.